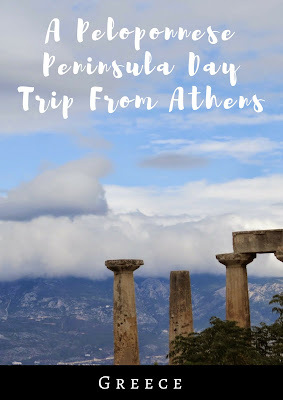 As we embarked on a Peloponnese Peninsula day trip from Athens to Corinth, our guide Stella regaled us with tales from Greek history and mythology. She told us the story of Persephone who was kidnapped and taken to the land of the dead. Her mother and the rest of her people mourned the loss and eventually convinced Hades to allow Persephone to spend two thirds of the year among the living and one third among the dead. The transition is marked by the change of seasons (Fall to Winter and Winter to Spring) with celebrations afforded to Persephone to send her off and welcome her home. 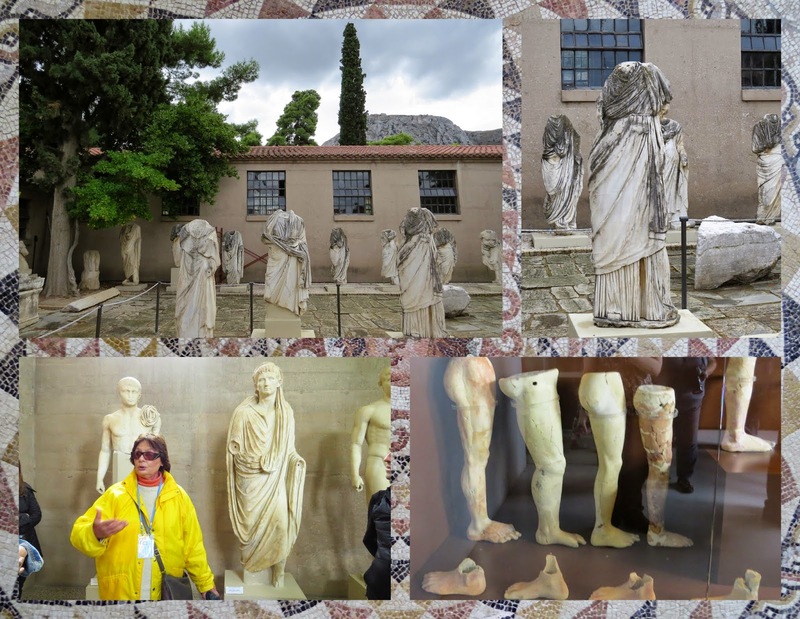 We heard echoes of the distant path in the museum at ancient Corinth. Apparently, statues during the times of Roman occupation were mass produced headless and when a portrait was commissioned, a bespoke head was added. Patients that had recovered from particular afflictions would make an offering to the gods and it was typically fashioned in the likeness of the body part that had been afflicted. Fascinating. Ancient Greek sites are simply not complete with an Acropolis (check!) and Agora (also check!). 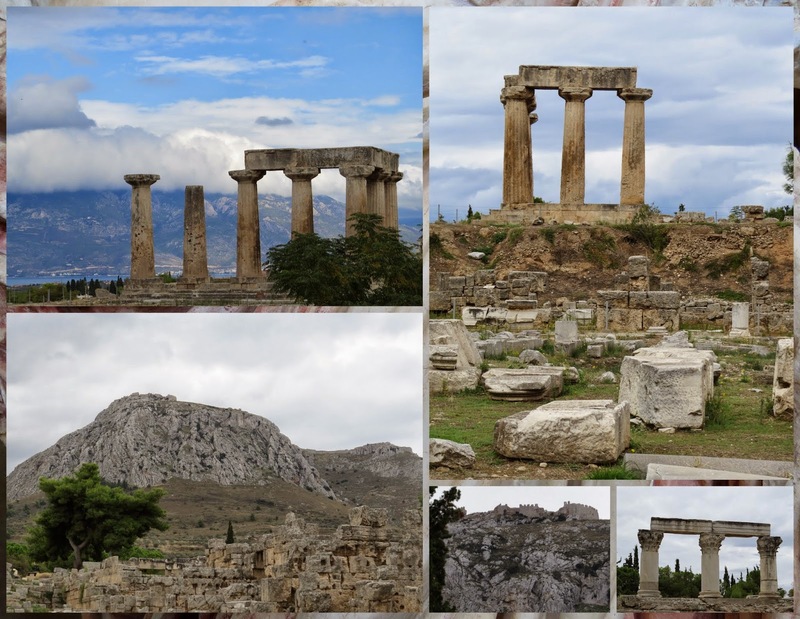 We walked through the ruins of the Agora at Corinth looking up to the site of the ancient Acropolis. Much of the site laid in ruins but stately columns dotted the landscape giving a sense of what the place must have been like in its heyday. We made one quick stop at Ancient Nemea. Stella rushed us past the obligatory ruins and columns so fast I couldn’t even get a proper photo! 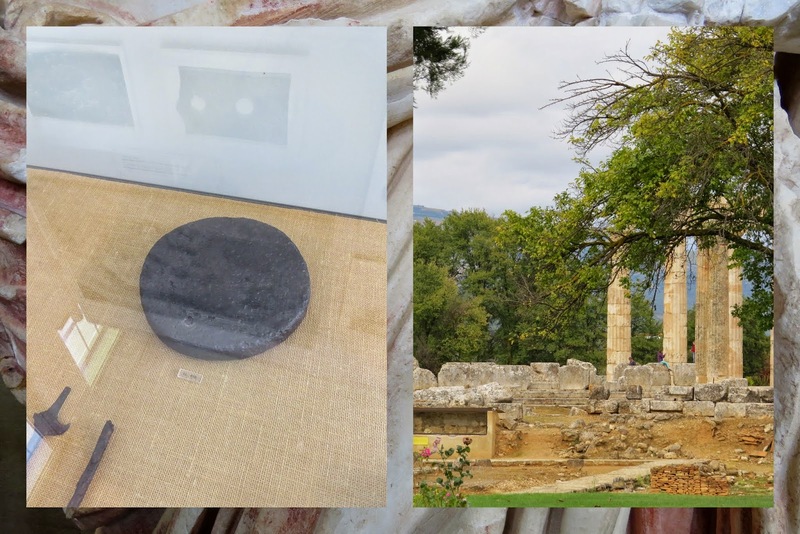 We ducked into the small museum which housed examples of equipment used in ancient sports such as the discus. We also watched a video describing how researchers had reconstructed the mechanism the Greeks used to fairly start their competitive footraces. This is something we might have passed by if Stella hadn’t highlighted the significance. 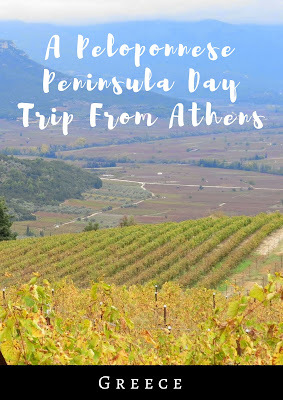 The day tour we were on (sponsored as part of TBEX Athens) was a great mix of eyeballing antiquities and one of our favorite vacation pastimes: tasting wine! We were soon negotiating our way up a very narrow road in a rather large bus. 7.9 km (and with some serious white knuckles!) later, we disembarked at Semeli Winery. I felt a bit like Zeus on Mount Olympus with green hills and vineyards fanning out below us. We were ushered inside for a tour of the operation which had definitely progressed beyond the technology one would have found in ancient Greece. 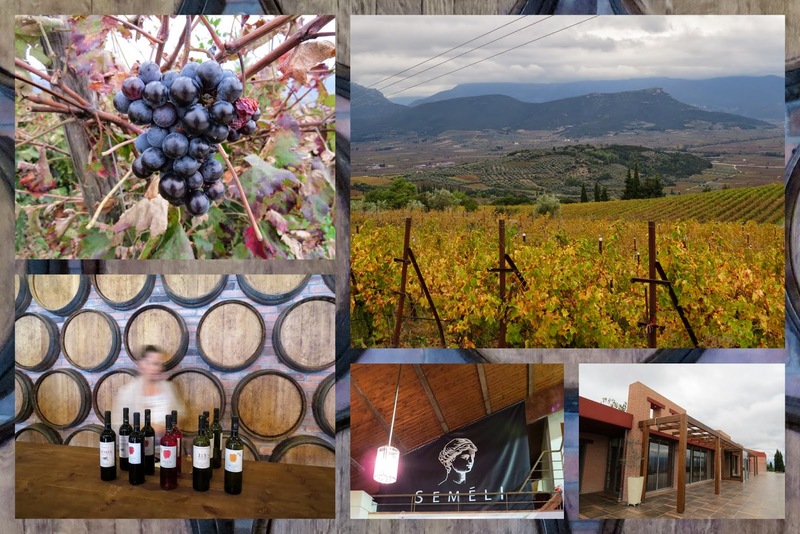 We tasted five excellent Greek wines that offered fantastic value for money. The most expensive ‘reserve’ wine was only 8 euro. A light Greek lunch of meatballs and salad with halloumi rounded out our day. We left with bellies full and a couple bottles of Semeli wines to take home. We covered quite a bit of ground in a short period of time and the day trip was a great introduction to the Peloponnese. It’s amazing to think that all of this is just an hour’s drive from Athens. 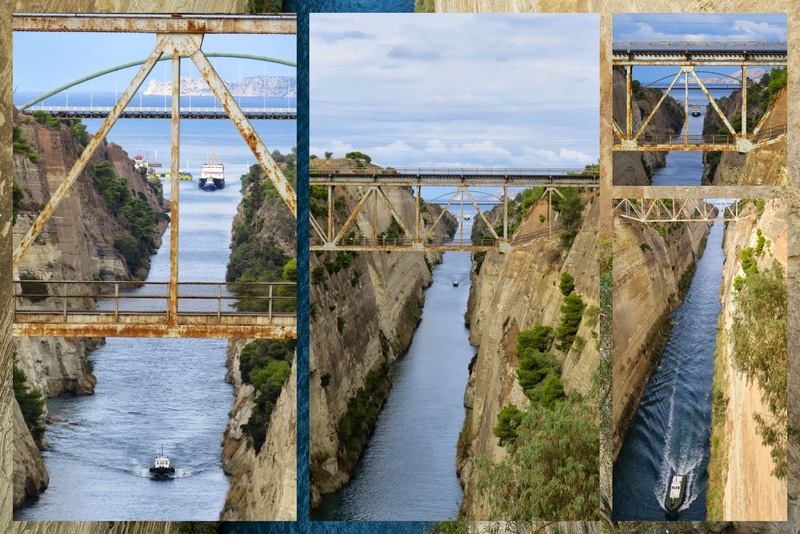 We hope we can explore the Peloponnese in greater depth on a future trip. 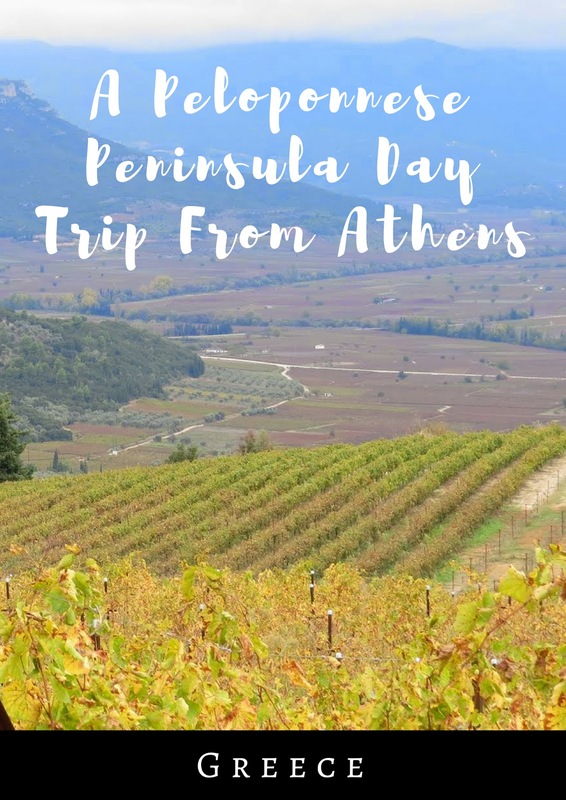 Take a Peloponnese Peninsula Day Trip from Athens Greece. 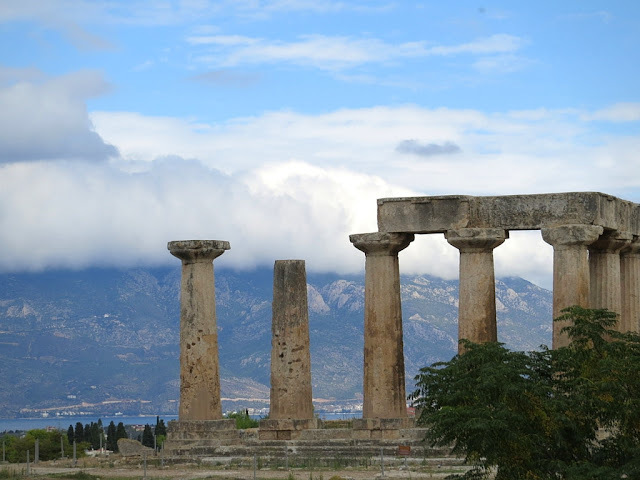 Visit Corinth and The Peloponnese. Enjoy a Peloponnese road trip from Athens to Corinth and find out what to do in Corinth.